On the 21st February I met with CFCA's bird survey team at 3:00am at the Forestry Division Compound in St. Joseph for the long ride down to Cedros where we were to meet our boat. We arrived before daylight and had time to streach our legs from the long ride before we all climbed aboard the research vessel. It was a smaller vessel than the one we use to survey around Saut d'Eau but everyone was able to fit comfortably. The sea was much calmer on this side of the island as we were within the Gulf of Paria (beaufort 2-3 with very low swell) but became rougher (beaufort 3-4 but still very low swell) as we made our way further from shore. One of the coast guard men informed me that dolphins are rarely seen in this area and those that are seen have been seen closer to shore in the calmer waters. 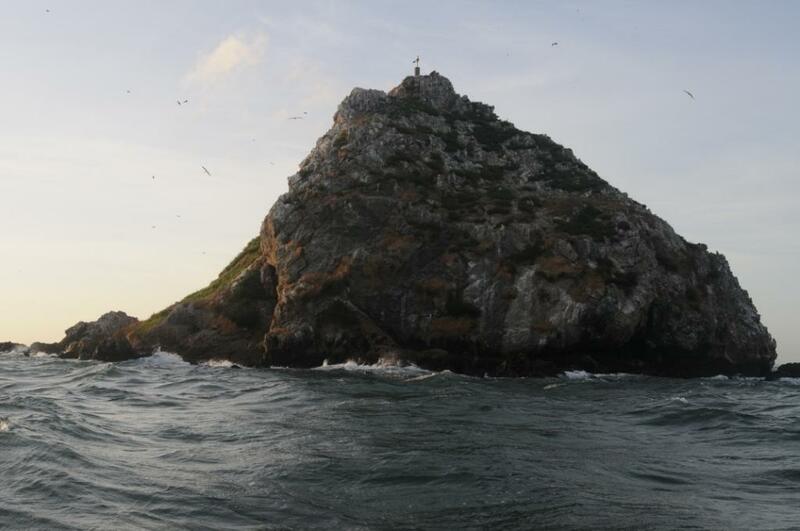 We circled the island slowly and I kept watch for cetaceans as the bird researchers continued there work. There was an area of rocks a little way from the island and a long line of oil platforms and wells, which I was told are not all operational at the moment, but no cetaceans in sight. On the transit back to the dock it was impossible to keep a proper watch for whales and dolphins due to the speed of the boat and the spray. This problem was discussed with the survey leader and we will aim to travel at slower speeds in transit to the islands to improve our ability to do CCARO's cetacean surveys throughout the boat trip. This survey began earlier than the previous one, which resulted in us leaving the dock before the official sunrise. Although the light was dim, the sea conditions were favourable for sightings with a beaufort of 3 and low sea swells. Halfway to the island of Saut d'Eau, around 6:20, the light improved. 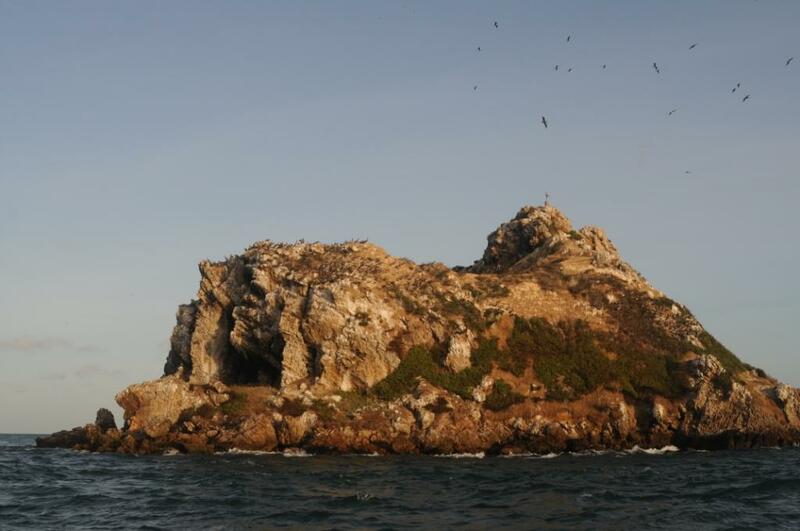 The vessel slowly circled the island to to find a safe way onto the island itself for our next trip and to enable the bird surveyers to get photographs of the nesting pelicans to help them make a species count. Although the surveying conditions remained favourable, there were no cetacean sightings either around the island or in transit back to the dock. On the 24th January, I found myself on a Coast Guard vessel at 6:30am racing along the north coast of Trinidad towards the island of Saut d'Eau (So-do) with camera and binoculars in hand, looking for any signs of whales or dolphins. I was on CCARO's first cetacean survey of the year. On this month's survey, although we have heard from our interviews with fishermen, that dolphins pass along this north coast route regularly in the morning, no whales or dolphins were spotted along our survey route. This could have been because they were not there at that time or because of the viewing conditions. The seastate was a beaufort 4 with low to medium swells which was not uncomfortably rough but did not provide the best viewing conditions and a low surfacing animal could have been missed in the chop and swell, especially as the vessel was small and my viewing platform was just above the water surface. It is possible that the dolphins spotted by fishermen only frequent this area at cetain times of day or year or that they have learnt to follow fishing vessels (which we were clearly not). It is this type of information that we would like to discover: are these areas important to cetaceans, when are these areas used and for what purposes; are there common intereactions between cetaceans and local fisheries? Hopefully we will learn more as the surveys continue. An opportunity for us to do boat-based cetacean surveys at two coastal sites near Trinidad came about when we heard that the Caribbean Forest Conservation Association (CFCA), working with EMA, the Wildlife/Forestry Division and UWI, was embarking on a 6 month survey of the sea bird populations on two offshore islands, Saut d'Eau and Soldado Rock, which are important breeding sites for many of our seabirds. 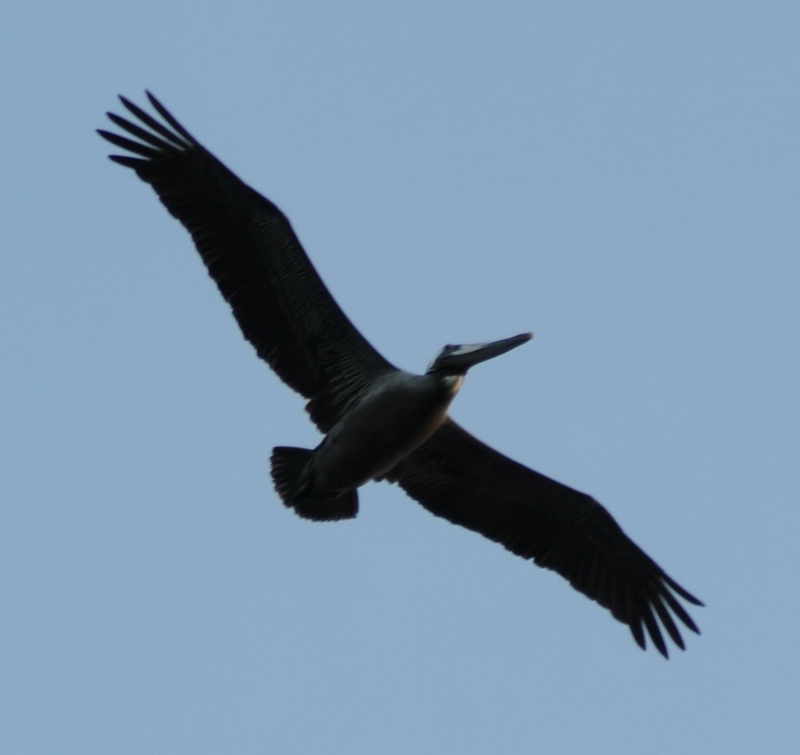 When CCARO approached them about the possibility of having a CCARO researcher accompanying them on their bird surveys, to do separate whale and dolphin surveys, they generously agreed. 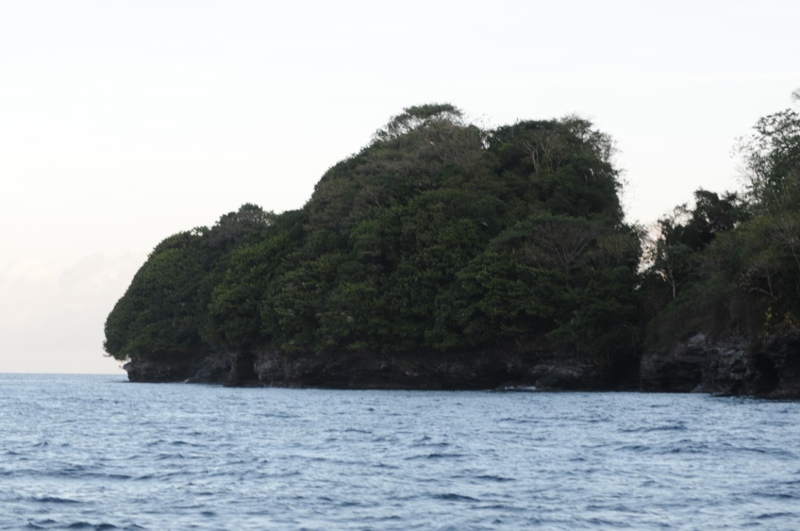 We would be going on a trial survey to Saut d'Eau in January and from February we expect to do two boat-based surveys every month (one to Soldado Rock and one to Saut d'Eau) until July.